For marketers, corporate communicators, sales trainers and more, webinars are powerful tools for hosting virtual large events and disseminating vital information to large groups. They’re an effective way to spread your message, regardless of whether your goal is to educate internal stakeholders or drive leads. Now available, GlobalMeet Webinar is the latest addition to the GlobalMeet family, empowering your town hall meetings, large-scale trainings, marketing lead gen efforts and more for up to 325 participants while still offering the simplicity of day-to-day audio and web conferencing that GlobalMeet users have come to expect. 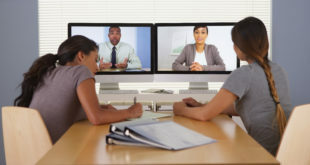 GlobalMeet Webinar isn’t just for large events; it includes all of the same features as GlobalMeet web conferencing, giving you a single solution for whatever kind of meeting you need. You can schedule events, create custom registration pages and emails, track your events and send out reminders all from within GlobalMeet Webinar. Just like GlobalMeet web conferencing, GlobalMeet Webinar events offer one-click entry for guests without requiring downloads, dial-in numbers or passcodes. Put your brand’s best foot forward with branding customization tools for invitations and followup emails. Finally, prove the ROI of your webinar strategy with detailed, easy-to-read reports that can be shared with your entire team. To learn more about GlobalMeet Webinar, visit pgi.com today! Or, if you’d like to take it for a spin yourself, sign up for a free trial! Next Can Transparency Make Us More Collaborative?